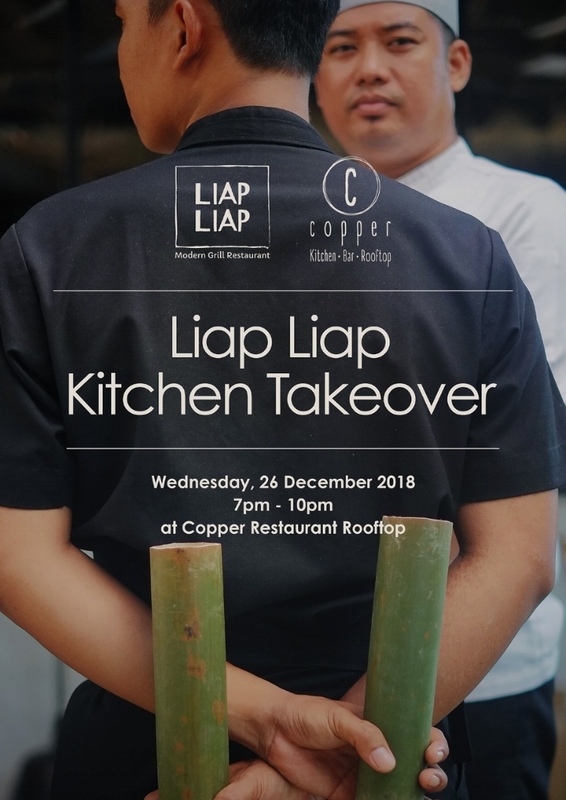 The super hot crew of Liap Liap are coming and taking over our rooftop kitchen this upcoming December to deliciously end off the remaining days of the year. Led by Head Chef, Roy Qira, Liap Liap will be crackling the embers wowing you with some hot smokin’ indigenous cooking styles inspired by the far reaches of the Indonesian islands’ iconic culinary endeavours and flavours. The festive seasons is all about indulging in that spot-on culinary magic, especially when you’re in Bali, so book yourselves a table now, watch and taste that magic unfold. Fire and Ember! Be on the lookout for a night of Copper Kitchen rooftop takeover!